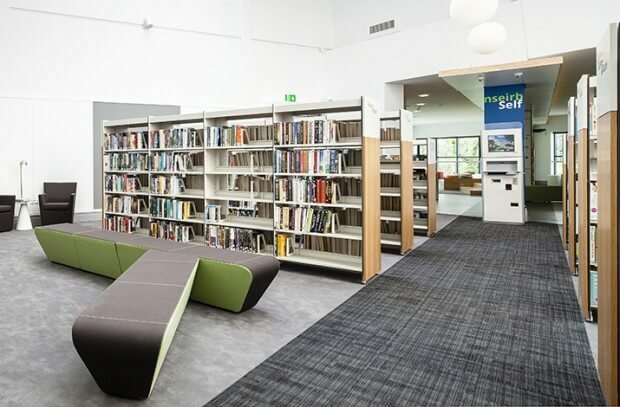 Donabate Portrane Community Library is in the first floor of Donabate Portrane Community & Leisure Centre, and provides the full range of services, from a collection of lending material including books, CDs, DVDs, Prints and gaming, to programmes of events for adults and children, free WiFi and substantial IT resources to the community. 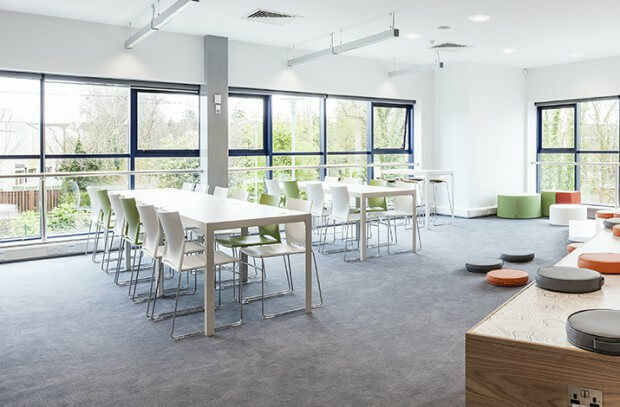 Laid out over one floor, the library is bright, modern and spacious with comfortable seating for studying or reading. 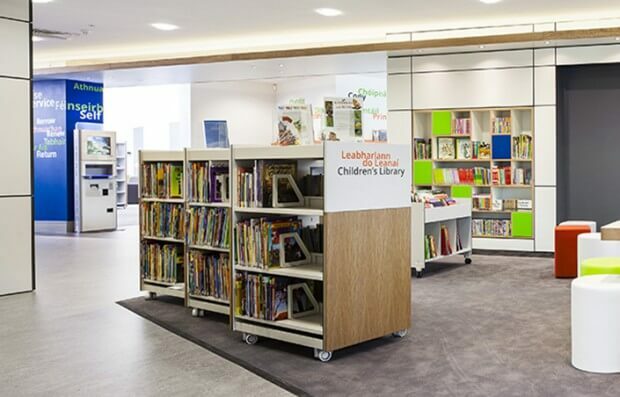 Borrowers will be able to borrow items using state of the art ‘Self Service Totems’ and use other technologies such as an interactive Smart Board in the quiet room. 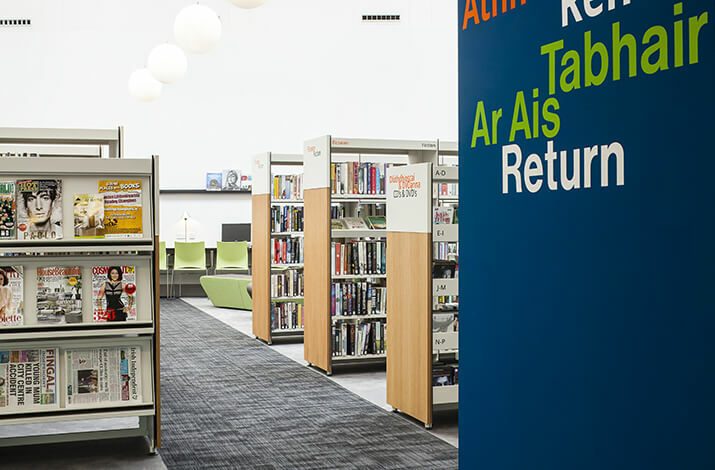 In addition to what is on offer in this new library, members can also avail of the wide range of online Library services on a 24/7 basis, including book renewals and reservations, free ebooks, downloadable audio books, educational and language courses. 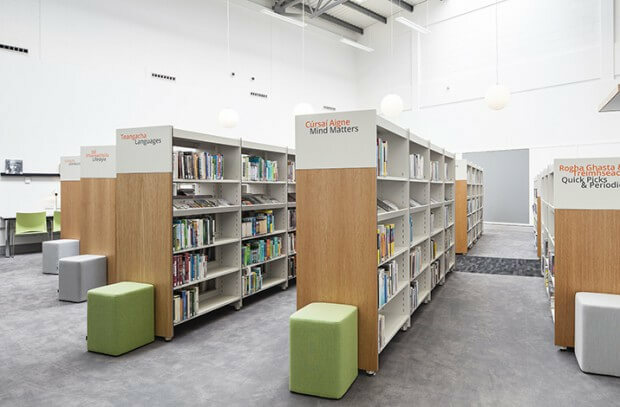 These are some of the reasons why Donabate Portrane Community Library has been awarded at last edition of Fit Out Awards as Project of the Year – Public Sector (Small). 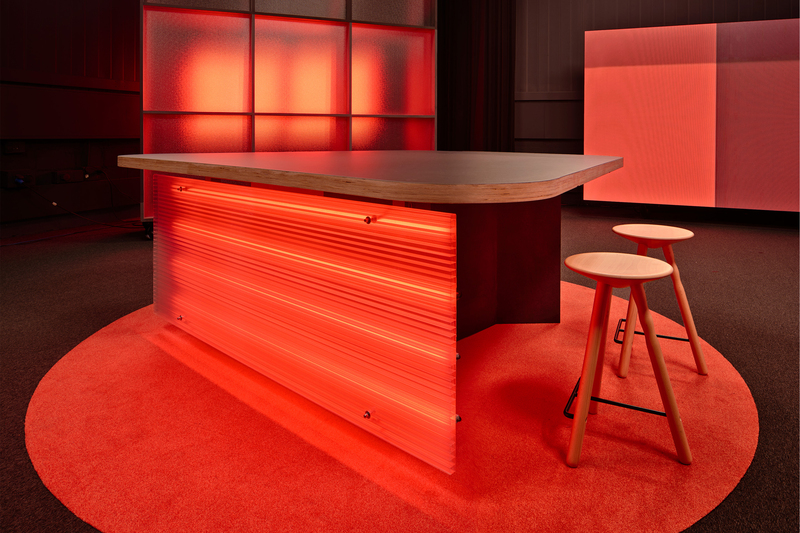 Check it out at the website of Fit Out Awards. 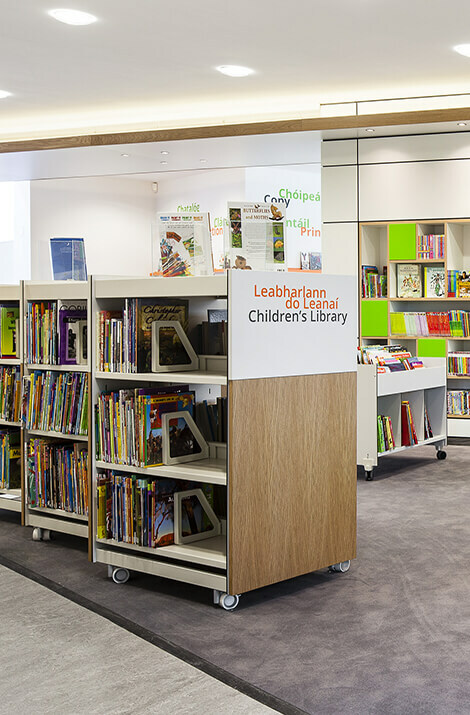 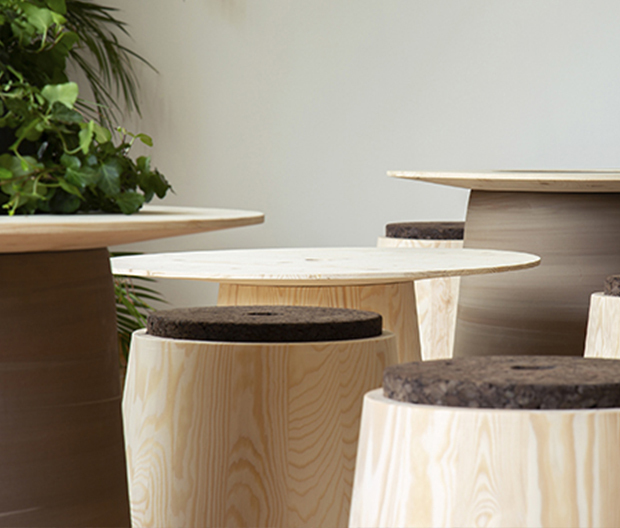 mobles 114 editions has been part of the furnishing of Donabate Portrane Library with Sheelin Office Group. 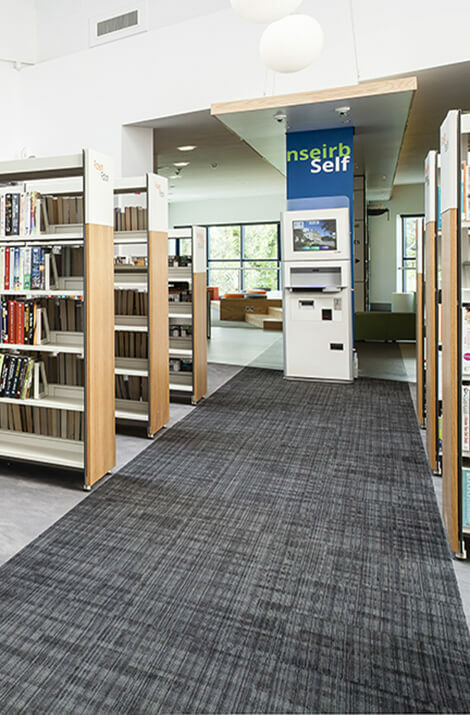 There BBL shelving system for libraries and Pey office tables can be found. 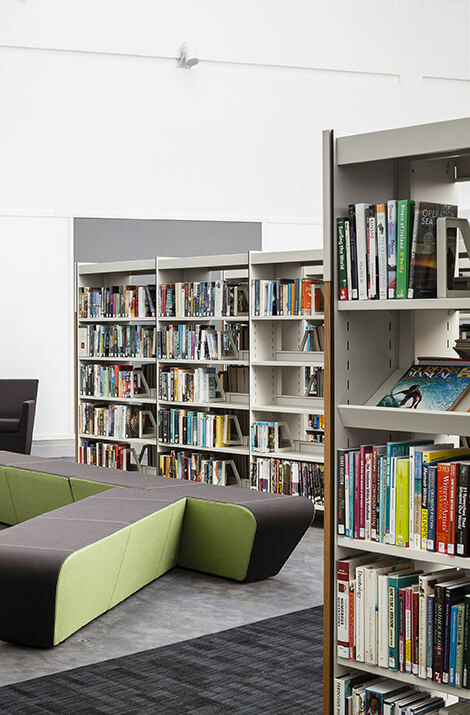 More libraries by mobles 114 editions, here.